Finally they are all in. The back covers for all seven Harry Potter books have been completed, thanks to award-winning artist Kazu Kibuishi. We've been following the revelation of these new art pieces from the artist day by day and the wait is certainly worth it. 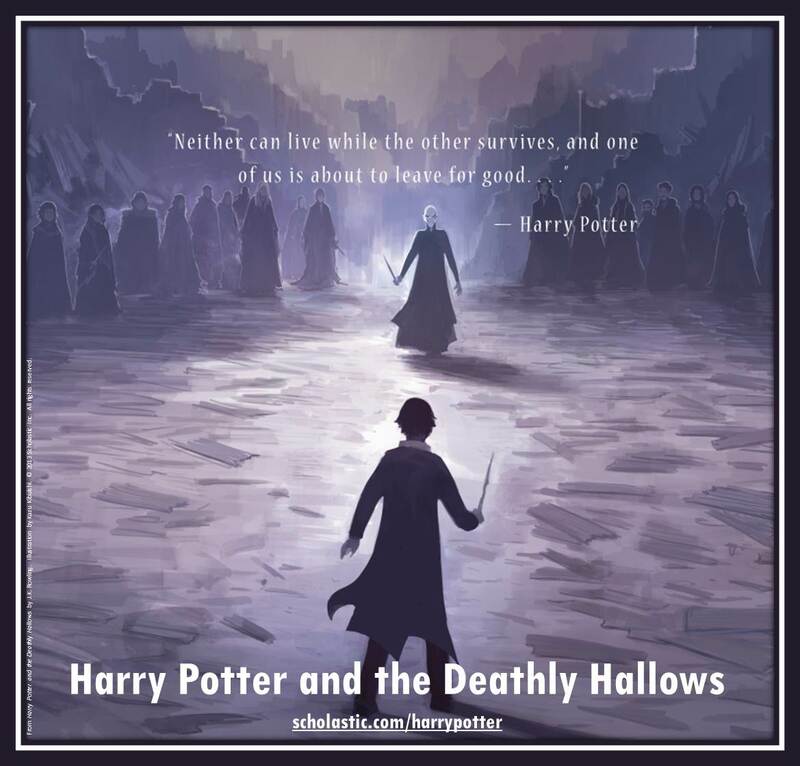 Checkout the new Harry Potter and the Deathly Hallows back cover created by Kazu Kibuishi. This monumental moment in the entire Harry Potter series will decide the fate not only of the magical world, but of the Muggles' as well. Harry Potter and Lord Voldemort face each other to settle the score and eventually fulfill the ultimate prophecy. Check also the back covers created by Kazu Kibuishi for The Sorcerer's Stone, the next three books, The Order of the Phoenix and The Half-Blood Prince. The 15th Anniversary editions of the Harry Potter series will be released on August 27, 2013.